We now support all AIR versions. Including AIR 15 beta. 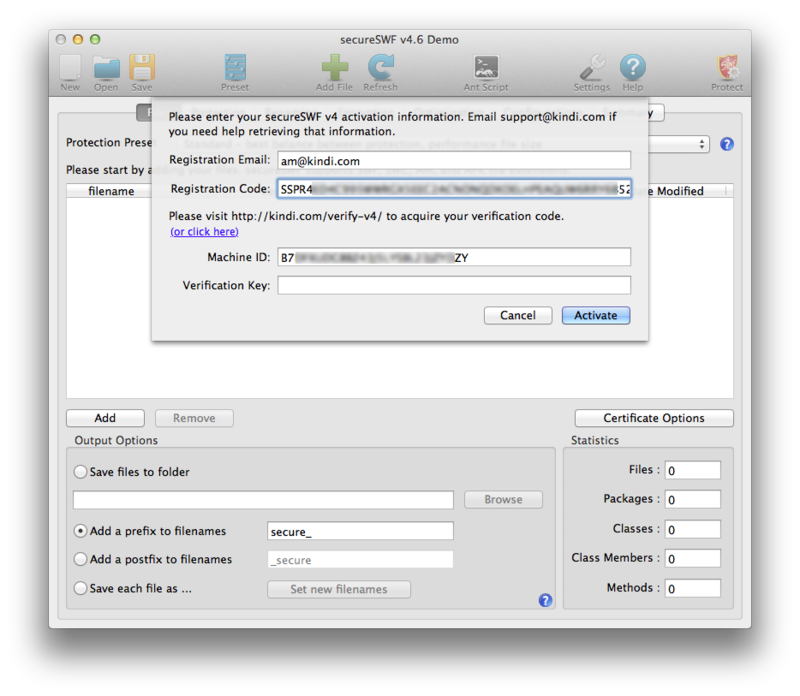 Using your registration information, and the Verification Key, you can activate secureSWF without the need to connect to the activation server. Of course, this will only work on the machine which you have used to generate the Machine ID. The manual activation process can be done via the GUI or the CLI. As we frequently do, the new build also updates the protection mechanisms we use to prevent decompilers from generating anything useful or running at all. We recommend that you re-run your apps through the new version and publish an update. We’ve enhanced the performance of the string decryption routine, which runs every time your code accesses an encrypted string. This means your app will now perform a bit faster if you are using string encryption. The enhancement applies to both RC4 and AES algorithms. 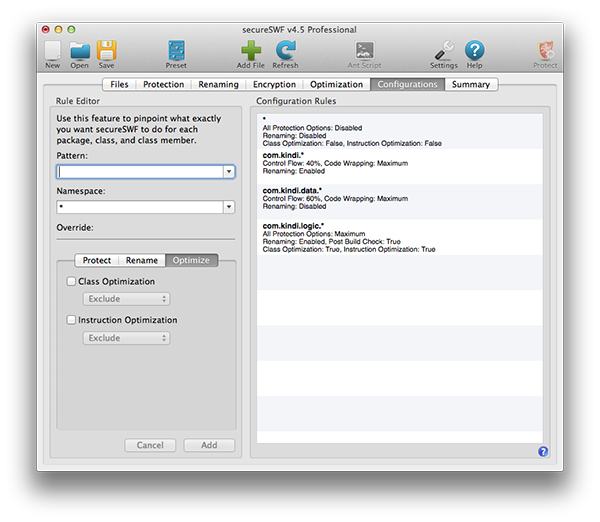 We’ve fixed an issue with String Encryption advanced selection dialog in the GUI. We’ve also fixed almost all reported crashes. Please keep sending crash reports. 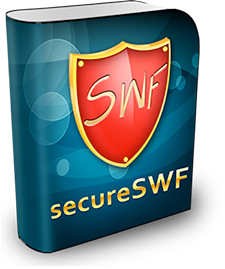 We rely on them to make secureSWF more stable and reliable. Please let us know if you have any comments or suggestions. We’ll highly appreciate your feedback!